Diseño Nupcial is our newest advertiser in Mexico Weddings & Honeymoons magazine's Fall 2010 edition. Check out their ad above. 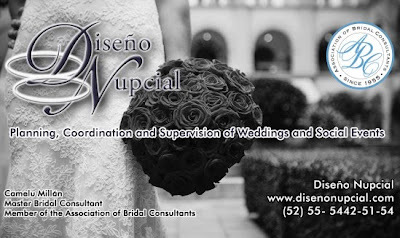 If you are thinking about getting married in Mexico City or Cuernavaca, make sure to contact them.